Your family may already be quite familiar with hiking many of my family’s favorite hiking trails. Add bikes in, though, and the trip takes on a whole different feeling. Hills suddenly become a lot more fun when you’re screaming down them and outings become a lot shorter, leaving more room for ice cream and playgrounds you find along the way. We discovered early on that my son could ride a lot farther than he could hike, and that our pedal-powered adventures would take us to locations rarely reached by a young child on foot. Many of our favorite trails are so much fun on bikes that we’ve stopped hiking them altogether, and we now look for ways to combine trails to lengthen our rides. 1. Peter Lougheed Provincial Park Bike Trails - The paved Lodgepole, Wheeler and Lakeside trails can be ridden in a 12-kilometre outing one way. The trails have gradual hills that can always be walked, if riding with young children, and the steepest hills are well-signed. Family tip: Jump on the Wheeler Trail at the Boulton Creek Campground and ride one way (mostly downhill) to the Canyon Campground with a second vehicle waiting by the playground in the B loop. Send an adult back for the vehicle while the kids play. For a fun post-biking reward, stop by the Boulton Creek Trading Post for ice cream. 2. Troll Falls, Kananaskis Village - Most people hike this short, easy trail but we have found it to be an amazing family bike ride with some fun hills, a scenic ride through Hay Meadow and a great destination to a set of waterfalls. Families will want to park at the Stoney Trailhead and approach the falls via Hay Meadow. Park your bikes for the final 0.3-kilometre hike to the Falls. From the Falls, bike back via the Troll Falls trail for easy coasting most of the way back to the car. Total loop distance is less than 4 kilometres and is manageable with a chariot or bike trailer. It is also a great trip for younger children on balance bikes. Family tip: If your family likes geocaching, don’t forget to bring the GPS along with some fun trinkets to trade because this loop is full of caches to find. (Just don’t expect to have cell phone coverage, so you’ll have to search for the coordinates ahead of time.) 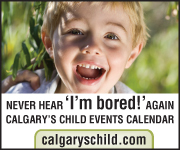 Children will also enjoy stopping at Kananaskis Village after for ice cream and a visit to the playground. 3. The Bill Milne Trail, Kananaskis Village - This paved trail connects Kananaskis Village with Wedge Pond farther down the highway in a total distance of 9.7 kilometres one way. Start at the Kovach Day-Use Area below the village to avoid the big hill down to the highway. Return trip distance is 17 kilometres from Kovach Day-Use Area to Wedge Pond and back. Family tip: The trail climbs very gradually the entire distance from the Kovach Day-Use Area to Wedge Pond with one big hill that can be walked near the pond. Consider setting up a shuttle with younger children so that they only have to ride one way in the downhill direction from Wedge Pond. As with Troll Falls, stop at the Village after for ice cream and a visit at the playground. 4. Watridge Lake - This easy mountain bike trail has been a family favorite of ours since my son used to ride it on his Strider balance bike at age four. The ride to Watridge Lake is a 7.5-kilometre round trip from the Mount Shark Trailhead off of the Smith Dorrien Trail out of Canmore. You’ll be riding on a wide gravel road with a few rough sections and a couple of steep hills. The trail is manageable with a chariot or bike trailer. Family tip: From Watridge Lake, hike up to Karst Spring where you can see water shoot out of a hole in the rock. Complete round trip distance with the hike is 9 kilometres. After finishing your bike ride, consider stopping in at nearby Mount Engadine Lodge for afternoon tea and goodies. While there, we like to play in the meadow and have found frogs in the creek below the lodge. Information can be found on their website, mountengadine.com/dining/afternoon-tea. 5. The Canmore Riverside Trails -There are 13 to 15 kilometres of easy trails around the town of Canmore that can be hiked or biked. Personally, we prefer to bike them because we can link the trails together to take us all the way from the town skate park to the bike park to restaurants downtown and to numerous playgrounds. You can pick up a map of the town trails from the Canmore Visitor Centre on 7th Avenue and then head out to explore! We love the Blue Activity Loop (3.1 kilometres) with a fun ride over Engine Bridge. For a longer outing, we usually ride the Green Activity Loop for another 4.4 kilometres starting at Engine Bridge. Family tip: Millennium Park makes a good starting point, and you’ll find a bike park with pump track here. From Millennium Park, we like biking to the West Canmore Playground, which is directly opposite the park on the other side of the river. We also like parking at the town skate park located on 8th Avenue beside the Canmore Collegiate High School. From here, there is trail access to the blue loop located behind the park. All trails are easy with few hills along the river. Trails are great with a Chariot or bike trailer and very doable for youngsters on balance bikes. 6. Banff Trail at the Canmore Nordic Centre - Banff Trail is an easy 6-kilometre round trip to a beautiful meadow from the Canmore Nordic Centre Day Lodge. You’ll be riding on a wide cross-country ski trail that parallels the paved Roller Skiing trail and aside from a few hills (that can always be walked), it is a great ride for young children. My son first did this trail on a Strider balance bike when he was four years old and had few difficulties. We enjoyed a lovely picnic in the meadow, and then headed to Canmore for ice cream. Banff Trail is manageable with a Chariot or bike trailer. Family tip: Single-track trails depart from the main Banff Trail for those wanting more excitement, and the green loop is only 2 kilometres in distance. Note: There are no trail fees in place at the Nordic Centre in the summer, so you can bike on any trail you want without paying for a day pass. There are also bike rentals available at the Trail Sports Centre on-site, and you can rent a Chariot as well. 7. The Legacy Trail - This is one of the classic rides in the Banff area and connects the two towns of Banff and Canmore. It is approximately 20 kilometres one way - depending on how much of the trail you ride - but there are plenty of options for shortening the route. 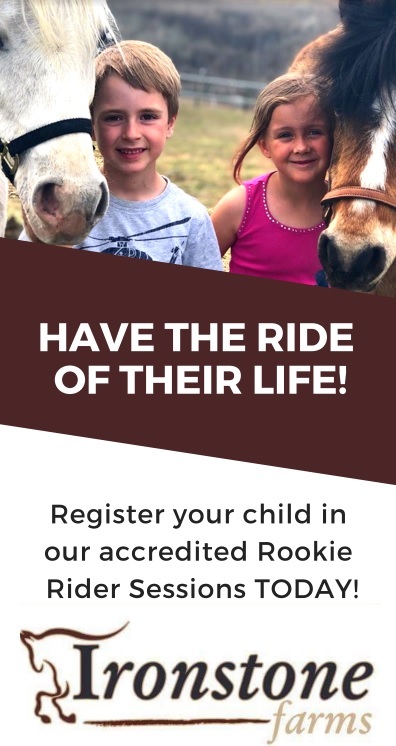 The trail is paved, but it’s recommended that children have significant pathway-riding experience before attempting this ride. The trail gets very busy and children need to know basic pathway etiquette before venturing here. (Required skills would involve knowing to stay to the right, not weaving across the centre line and safe passing skills.) If riding with younger children, go mid-week or get an early start to avoid the crowds. Family tip: For a shorter ride, start at the Valley View Day-Use Area (half-way between Canmore and Banff on the right-hand side of the road heading east). From here, ride back to Canmore, approximately 10 kilometres, to the Travel Alberta Visitor Information Centre. (You’ll notice that it’s conveniently located near the McDonald’s where you can wait while an adult rides back for the vehicle.) Alternately, bike back to Banff from the Valley View Day-Use Area in, approximately, 8 kilometres. This day-use area is the high point on the highway and so it’s more down than up in both directions if you use it as a starting point. If riding the full distance, start at the Cascade Ponds Day-Use Area in Banff and ride one way to Canmore for a trip that will feel more downhill with less big hills up. Again, ending at the McDonald’s is a great spot to hang out while somebody bikes back for the vehicle. The Bow River Trail, Fenland Loop and Vermillion Lakes Drive - This bike adventure covers three of the best trails in the Banff town site. Start beside the river at Cascade Park downtown and follow the paved Bow River Trail in the up river direction, (shared with pedestrians), until you reach the Banff Canoe docks. Shortly after, you will reach the Fenland Trail, which is a great beginner mountain bike trail. Children on balance bikes will love the short Fenland Loop with its winding paths and gentle terrain. Follow the Fenland Trail until you reach Vermillion Lakes Drive and ride as far as you want toward the First, Second or Third Vermillion Lake. It is a 7-kilometre return if you bike to the Second Lake and then head back to Cascade Park. Note: You will be sharing Vermillion Lakes Drive with vehicles, but the speed limit is very low and everybody gave us lots of room on the road when we did the trip. Family tip: Any of these three trails can be done individually for a shorter ride. End your adventure with ice cream downtown or continue following the Bow River Trail to the playground at the Banff Recreation Grounds on the other side of the river. There is also a bike park here for older kids. The Sundance Trail - This trail starts at the Cave and Basin National Historic Site. There is no charge to access the Historic Site, if just heading for the trail, so make your way straight through and follow the signs for the Sundance Trail. The trail is 3.6 kilometres one way to the Sundance Canyon Trailhead (where you can continue for a short 1.2-kilometre loop on foot through the canyon). The trail is paved, but there is a climb of 145 metres on the way that may frustrate young children. On the way down, though, it is a lot of fun! It is a good trail for parents with Chariots or bike trailers. Family tip: Bring your Annual National Park Discovery Pass (the pass you use to enter the Park gates) and you will receive free entry into the Cave and Basin Historic Site. Families looking to extend their ride can continue on the Healy Creek Trail, which leaves the Sundance Trail heading for a trailhead located at the bottom of the road leading up to Sunshine Village. This is an easy mountain bike trail, and can be ridden one way from the Healy Creek Trailhead to connect with the Sundance Trail. The trail is 5 kilometres in length before joining up with the Sundance Trail. 10. Cascade Pond to Bankhead - This is a fun introduction to single-track mountain bike riding and is as easy as it gets with only 50 metres of elevation gain from the Cascade Ponds Day-Use Area to Bankhead, which is a 4.8-kilometre return distance. We did this ride when my son was five years old, and he had few problems on the smooth and gentle trail. Children will enjoy exploring around the old coal train and ghost town at Bankhead before biking back to Cascade Ponds. Note: There is one creek crossing on the trail, but we walked across it easily. Family tip: The trail can be tricky to find the first time, so read the complete description on the Bike Pirate website, bikepirate.com/bankhead, where you can also see some great photos of the ghost town. Know that it is possible to start at Bankhead and ride one way (in the downhill direction) to Cascade Ponds, but you’ll have to walk your bikes down a long set of steep stairs to reach the ghost town and trail from the Lake Minnewanka Road. For more information on bike trails in Kananaskis, visit the Alberta Parks website, albertaparks.ca. For more information on bike trails in Banff, visit the website for Banff National Park, pc.gc.ca/eng/pn-np/ab/banff/activ/cyclisme-biking.aspx. Remember that you will be biking through bear country and possibly sharing the trails with wildlife (even on town trails in Canmore or Banff). Check trail reports before heading out, stop in at a Visitor Centre for the latest updates and consider staying off trails with wildlife warnings. Other things you can do to stay safe? Bring bear spray with you, make lots of noise when riding (especially beside creeks and rivers or around blind corners) and travel in a tight group with children in the middle between adult riders. 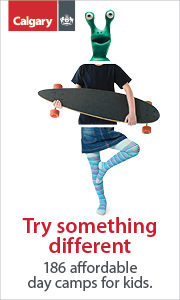 For more information on bike safety, visit the Banff National Park website at the link provided. Tanya is a freelance writer and mom to a spunky eight-year-old. She loves hiking, camping, skiing and all things mountain-related. She is the author of the blog, Family Adventures in the Canadian Rockies, rockiesfamilyadventures.com.